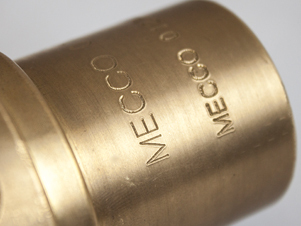 The patented design of the MC2000 SuperFast enables you to achieve marking times that surpass traditional stamping technologies. 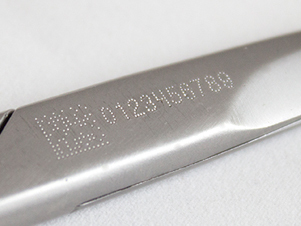 Traditional stamping, via a carbide pin mounted on a XY linear system, produces lower resolution marks as it traverses slowly to indent at fixed dot locations. 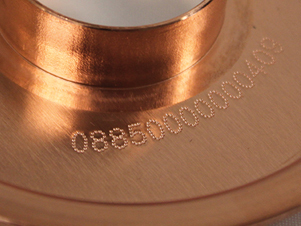 The SuperFast features Vibra Peen™ technology that pulses the pin 80 times per second, which allows you to trace a solid character and results in a high quality mark similar to an engraving. 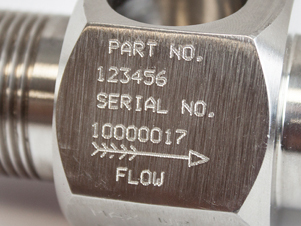 By combining Vibra Peen™ technology with the patented Y axis pivot system of the MC2000 SuperFast, manufacturers are able to achieve higher quality marks in half the time. 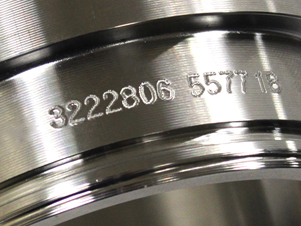 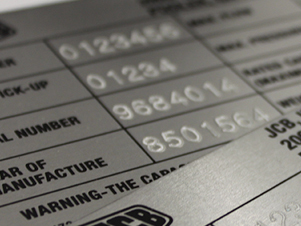 See how one manufacturer used the MC2000 SuperFast to meet their objectives in marking human readable and serial numbers on their products.